Wondering if Mary Skelter Nightmares is for you or just want to see Benny make several silly mistakes? Then take a look at our series of videos covering the game up to Chapter 3. 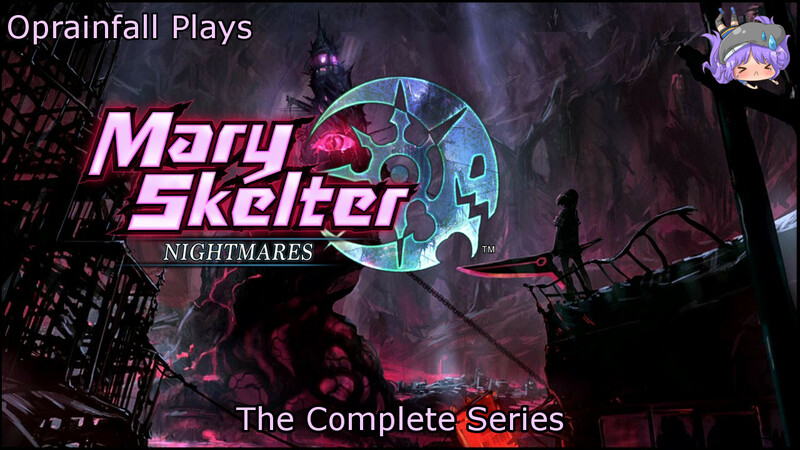 Courtesy of Idea Factory International, we were able to take a do an introductory Let’s Play of Mary Skelter Nightmares before the game was even released. This series of videos goes from the start of the game and concludes at the start of Chapter 4. While we only cover about the first 1/3 of the game here, it should hopefully give you an idea as to the Nightmares that await you inside of “Jail”. That or hopefully some entertainment as I run around making obvious mistakes. Below is a playlist featuring all 13 episodes of the journey as well as the 14th which is an opinion piece about the experience and game to that point. Episode 01: Welcome to Jail! Episode 09: To the Temple! …or Not. Episode 11: More Temple, More Kaguya, More Confusion! Be sure to follow us on all the things!